To some people Pokémon are pets, where as others like to train them and use them for battle. Did you know that in the world of Pokémon there are over 700 species?! That's right, since their creation in 1995 by Japanese video game designer Satoshi Tajiri these little creatures have gone on to feature in video games, trading card games, an animated TV series, movies and more. As the mascot of the Pokémon media franchise, Pikachu is one of the most well-known varieties and a central character in the anime series. Maybe it's because Pikachu has so many human characteristics that we love him so much. He doesn't like being told what to do, he forms a connection with others after initial reluctance and his refusal to 'evolve' makes him a bit of a badass. 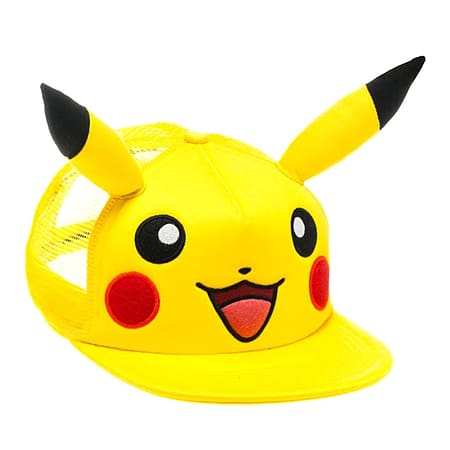 Now you can be just as unique as Pikachu with one of our official Pokémon licensed Trucker Hats. There's no mistaking which Pokémon this cap is modelled on; those big eyes, rosy cheeks and that unforgettable smile make for one happy hat. Plus with the hilarious 3D ears you'll be the talk of the Pokémon World! 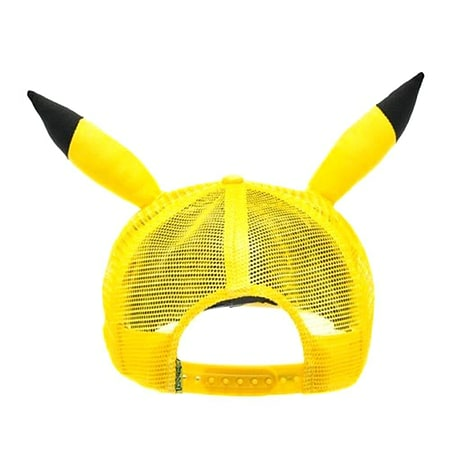 This Pikachu Trucker Hat has a mesh backing and fastens easily with a classic Snapback strap. It's made from a mixture of 60% Cotton and 40% Polyester, plus comes with an official Pokémon branded tag. Pikachu, Pika, Pika!